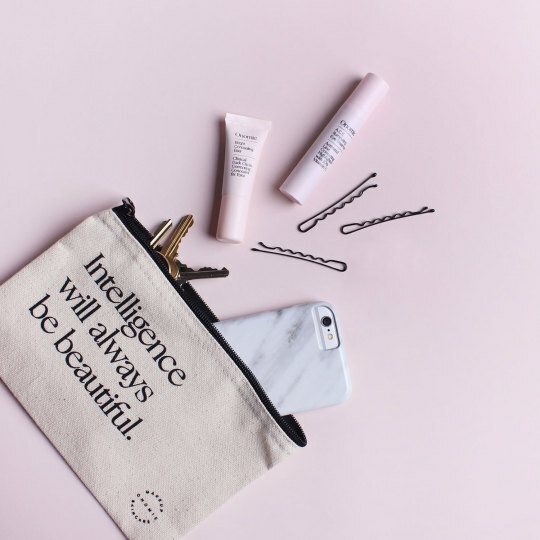 We are very into Onomie’s smart beauty - after all, if you name every product after the world’s great lady geniuses, you should try to do them justice. The whole deal here is simple, highly active (read: luxury-level) products at a great price point, not a million things you need to add to your routine. (Oh and they also partner with the non-profit “She’s The First” program to give 1% of Onomie’s annual profit, as well as team resources, to help sponsor first-generation female high school graduates in low-income countries - in other words, to make more geniuses to name products after). On the subject of bright beauties, we loved Onomie’s A.C.E. Illuminating Eye Treatment and Bright Concealing Elixir. They pack a 1-2 punch of treatment/prevention and day-to-day pretty, plus the concealing elixir comes in a darker shade too. You can even save a little by bundling them (here).